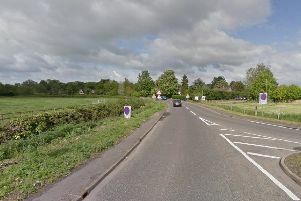 A 17-year-old girl has died following a collision on the B645 in Cambridgeshire on Sunday (August 28). Officers were called at 5.15pm to reports that a silver Ford Fiesta had collided with a tree along Tilbrook Road, Kimbolton. The passenger in the vehicle, Tallulah Hampton, 17, of Tollfield, Kimbolton was taken to Addenbrooke’s Hospital in Cambridge but sadly died later that evening. The driver, an 18-year-old man from Kimbolton was taken to Hinchingbrooke Hospital and later transferred to Addenbrooke’s Hospital with serious injuries. Anyone with information is asked to call the Roads Policing Unit on 101.